His family concerts are thoroughly engaging—full of positive energy, laughter, and fun. So get ready to re-live some wonderful childhood memories, sing along and introduce the incredible Mr. Penner to the next generation. Get tickets here. 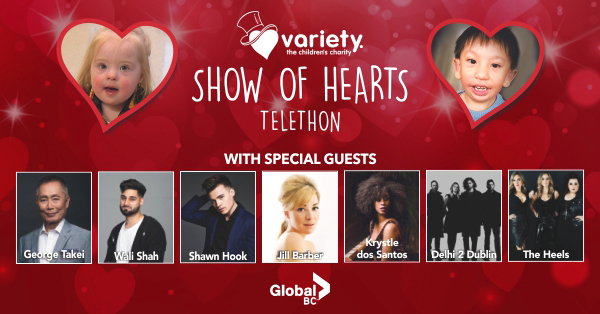 Join us on Sunday, February 10 for the 53rd Annual Variety Show of Hearts Telethon on Global BC and online via livestream at GlobalNews.ca. Broadcasting live from 9:30 am to 5:30 pm direct from the Molson Canadian Theatre at Hard Rock Casino Vancouver, you’ll get to see your donor dollars in action! Our hosts will include Global News Hour at 6’s Chris Gailus, Sophie Lui, Squire Barnes & Kristi Gordon, 980 CKNW’s Lynda Steele & CFOX’s Karen Khunkhun. You can donate here. 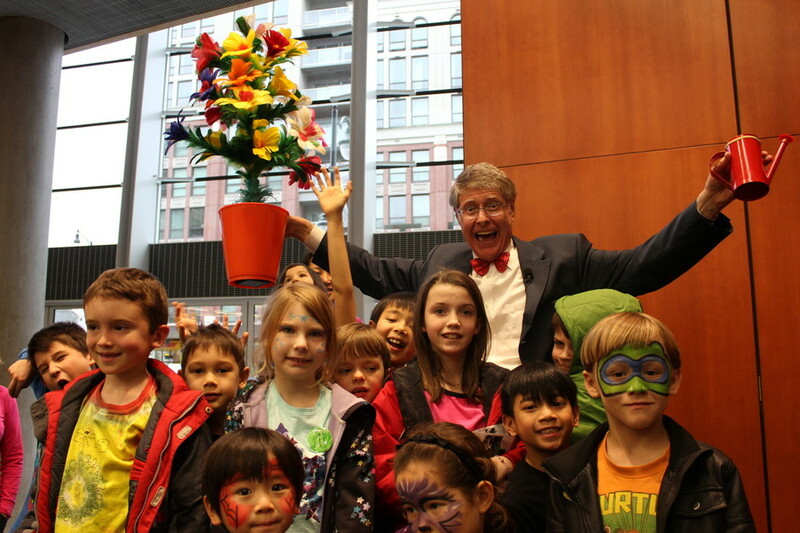 Explore New Westminster on Family Day for the Lower Mainland’s largest FREE event! All City Parks & Recreation facilities along with the Anvil Centre and River Market will be offering Family Day fun for free. Anvil Centre’s Family Fun Zone will feature Science World on the Road, Magician Peter Rooke, Nintendo games, photo booth fun, crafts and much more. The City’s Parks & Recreation facilities will be offering a variety of activities including swimming, fitness classes, skating, arts and crafts, and entertainment. The festival returns returns for its 9th year, bigger and better than ever, with Vancouver’s best chocolatiers, pastry shops, bakeries, cafes, gelato and ice cream makers coming together to make the humble hot chocolate hotter than it has ever been before. In the damp and gloomy days of our Westcoast winter, you’ll find our motto to be true: “Hot Chocolate Makes You Happy!” Details here. Celebrating its 48th anniversary, the show offers real advice, real inspiration and real experts to British Columbians. Get tickets here. Vancouver International Wine Festival – Vancouver – February 23 -March 3VanWineFest is Canada’s premier wine show and widely considered to be the best wine event in North America. With ~25,000 admissions and at 40 years of age, it is one of the biggest and oldest wine events in the world. Its slogan is “The Wine World is Here”. It has been voted the “#1 Food, Wine & Hospitality Event in Canada” the last five years in a row by New York’s BizBash. Get tickets here. Join us and explore the Mount Pleasant neighourhood which includes the Olympic Village area and tantalize your taste buds at several restaurants and cafes. This evening tasting extravaganza is on Wednesday February 27 from 6pm until 10pm and is presented by Vancouver Foodster. Tickets available here.